Liberté, egalité, Fraternité, those marvelous three words that define France. They’re fairly representative, not entirely, but generally speaking and compared to some countries (like North Korea) they’re applicable. Except when you are in a queue. 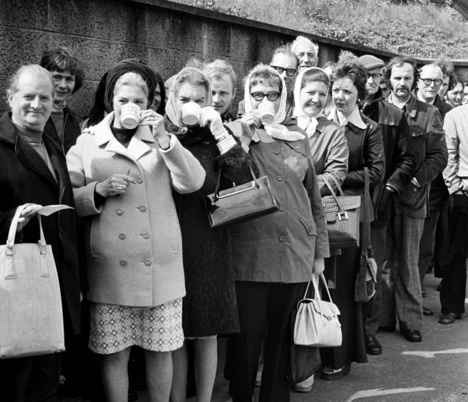 I am British – we queue. In fact we are a nation of queuers. We Brits are extremely good at standing in a line in front of a kiosk or cash desk, waiting for our turn. We may take a flask of tea with us and a sandwich if we think it might be a prolonged affair. If anyone should presume to sneak in front of us we will cast a sly look around to see if someone else has noticed and roll our eyes at each other. We will heave a deeply disappointed and disapproving sigh. Someone will say “excuse me, there’s a queue here” and everyone will stare at the law breaker. Usually the queue jumper/criminal will shuffle off pretending he or she hadn’t noticed the long line of patiently queuing lemmings. What happens in France goes against all our British instincts as queuers. In a shop, at a bus stop, in the bank, at the cinema, McDonalds, ticket office or anywhere else you have to queue. They use bags and umbrellas, elbows and knees. They use their bodies as battering rams and their heads as pointers. They look neither left or right. They laugh in the face of disapproval. They teach their children to jump queues like a rite of passage. Old people who look so frail they could hardly lift a feather seem to find renewed energy when faced with a queue. Their skin brightens, they limber up on the edge of the line, they straighten their backs and smooth their wispy hair and va va voom they dash to the front, knocking the opposition out with walking sticks and zimmer frames. At a village event in which 200 of us attended a lunch in a marquis, a fire broke out in the kitchen when the spit roasted pig went up in flames. We were all given some “rum punch” to keep us quiet while the pompiers doused the fire and the “chef” and his aides tried to salvage the lunch. A lethal mix of dark and white rum and a piddling amount of orange, combined with the heat of the summer sun, what were they thinking? When it was announced with great fanfare (and not a little relief) that lunch was being served and would we all queue up, it was like the gold rush at the Okay Corral. Grown men and women all fighting to get to the front – literally. Jean-Claude, my neighbour and table companion, normally the mildest of men was dead-legging anyone in front of him and hopping neatly forward. From my seat at the long tables in the marquis I watched mesmerised as this free for all took place, hoping that no one would dead leg my husband who is an ex-boxer with an occasionally volatile temperament who doesn’t like to be touched by strangers. Fortunately he was so taken aback by all the shenanigans going on that he just let himself be pushed forward by Jean-Claude who I think was using him as a sort of battering ram.